It does not matter if your business is well established or a brand new start-up. Commercial warehouse space can be used for a variety of reasons and can offer a number of benefits to your company. However, before you start obtaining quotes and lease information, you must first determine where the best place is for your warehouse needs. • The main purpose that the unit will serve – distribution, manufacturing, long-term storage, functional office, production, rental, etc. Leasing warehouse space can dramatically improve the productivity of your company’s supply chain as well as overall profit margins. If your warehouse is in a prime location, it automatically becomes an asset to the business. What Determines a Prime Location? Ideally, you want your warehouse to serve as the central hub in relation to other points of contact. 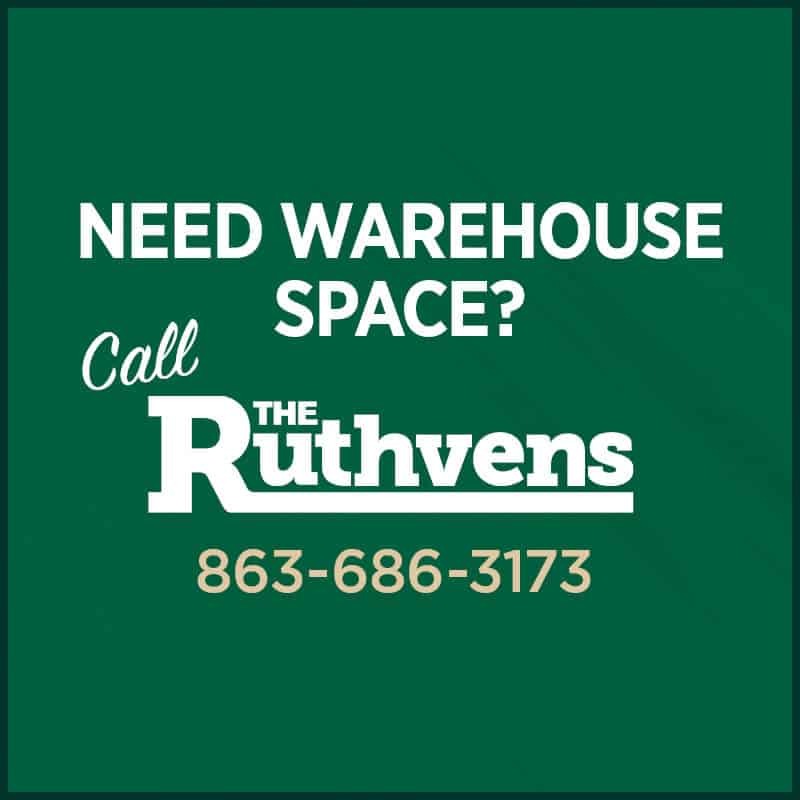 The Ruthvens, for example, are strategically located in Lakeland, Florida, in the middle of two major cities: Orlando and Tampa. An additional benefit of our units is that they are conveniently located along the I-4 corridor for easy access, which translates into cost effectiveness for our tenants. Not only are our warehouses located in an optimal location, but our roots are deeply embedded in the Central Florida area. We are well equipped with knowledge, experience, and resources in order to better serve our warehouse tenants. Shopping for commercial warehouse space for business purposes is not like shopping for a personal storage unit. A multitude of factors must be considered and location is one of the most important. It is essential that you lease your unit from a company with a proven track record that can offer you the best location possible.